Patch 3.4 introduced new interesting Chaos/Bow skills - Scourge Arrow and Toxic Rain. At the same time, the Pathfinder class was redesigned, which now grants very high Poison and Chaos Damage bonuses from Attack skills, making it one of the most powerful classes in Path of Exile. While there are plenty of users running around with Toxic Rain, it's the Scourge Arrow to apparently provides much higher single-target DPS when used correctly. This Scourge Arrow/Toxic Rain Pathfinder is a typical ranged build. You should focus on slowing down enemies with Toxic Rain, which immobilizes them while Vaal Blight is active and taking them out with Scourge Arrow released at 5 charges for maximum damage. Charging Scourge Arrow should take less than 2 seconds, and just 1 hit will take out anything except for Bosses. The damage it deals is simply terrific. For defenses, this build provides approximately 5,000 Life, Mind over Matter with high Mana Regeneration and Mana Leech, as well as additional Evasion and Dodge Chance. Odealo is a player-driven marketplace for PoE Currency, Orbs, and Unique items. Leveling this character is very easy. If you can afford a 4-linked Quill Rain that shouldn't cost more than 2 Chaos Orbs, it will be a smooth ride starting from level 5. Quill Rain provides the highest bonus Attack Speed in the entire game, and the damage reduction does not affect ailments you inflict with Attacks or Caustic Arrow's Damage over Time. You can focus on increasing your Movement Speed and defenses, while Caustic Arrow's Mirage Archer will clear everything for you. You can use this setup until level 66 when you can start using Lioneye's Glare and other higher level gear. Odealo supports player-to-player trading for Path of Exile Currency, Orbs, and Unique items. Buying from regular players on Odealo guarantees the best prices and highest security of every transaction. Below you will find all the recommended gear for this build. The entire budget of this build is approximately 30 Exalted Orbs, which is not the cheapest but should provide over 2,000,000 Shaper DPS when fully buffed. This should allow you to farm any Boss in the game if you are familiar with the fight's mechanics. If you would like to cut your expenses, you can use a 4 or 5-linked setup for your Toxic Rain, as it's mainly used as a supporting skill, and both Culling Strike and Increased Area of Effect Gems are optional. 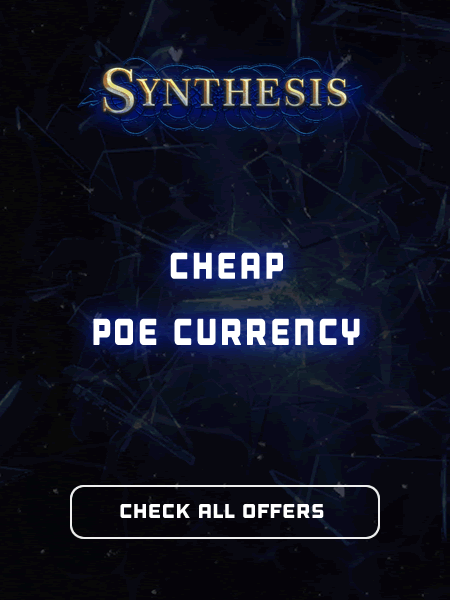 By the way, are you interested in buying cheap PoE Currency for real cash? If so, visit our market section, where you can trade with other Path of Exile players. If you have any other build requests, please leave that in the comments below.